Valentine’s Day is on the horizon, and so is Ash Wednesday (February 17). You might think these two had absolutely nothing in common, but there is a connection: secret gift-giving. Valentine’s Day is when some people choose to express their love for someone by being a “secret admirer,” delivering a card or gift of love and affection without signing their name. Ash Wednesday is when we read the scripture above, encouraging us to give generously to those in need without disclosing that we are their generous benefactors. While secret admirers may just be too shy to admit their affections, secret givers are supposed to maintain anonymity because the gift itself is not about our glory or praise—it is about serving God. When we give without acknowledgement, in secret, we are showing that our gift is not about us. We are not hoping our gift will win someone’s heart, or get them to give us something in return, or make people look at us as wealthy or generous or important. We are simply hoping that the recipient of the gift knows that they are loved. We are hoping God’s love and compassion are made known. -Have you ever received a gift without knowing who or where it came from? How did it make you feel? Contrast that with a time you gave something away with no return or recognition. Which one is more memorable? Find a way to practice giving in secret. As a family, think of some folks who could use a little help, whether they are poor in spirit or poor in health or poor in financial resources. Plot a way to help. Here’s a fun idea to try: Send anonymous Valentines. Think of neighbors, elderly friends, people who’ve recently suffered a loss. If your family likes crafts, haul out the pink and purple and red paper, glue, glitter and markers. If your family strongly dislikes crafts (like mine! ), go to the store and buy a box of kids’ Valentine cards. 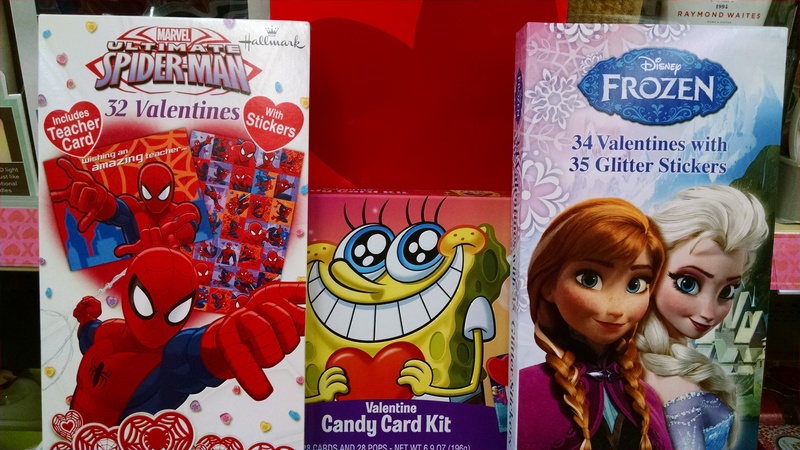 Who wouldn’t smile at receiving a Spiderman or Spongebob or Elsa from Frozen card in the mail, with some terrible pun about love? Write a simple message like, “Jesus loves you and so do I” or “God’s love is everywhere, all the time!” and drop the card in the mail or leave it on the door when no one’s home. Dear God, you love us so much and give us everything we have. Teach us to love and give like you do. Help us to give in ways that don’t show off or expect something in return, but ways that point to you and your love. Amen. Tags: Ash Wednesday, gift, love, neighbors, secret, valentine. Bookmark the permalink.